Mr. Gondry, why are you still doing commercials? I do as few commercials as possible, maybe one or two per year because it allows me to do the movies that I want to do. I confess I am not proud of doing commercials. If tomorrow I could make a decision that would make the commercials disappear altogether, I would make this decision even if it means I would gain much less money. But since those commercials are getting made anyways, I am taking the opportunities. It’s true, I am not proud of that and it’s a good point you are underlining. I hope my movies will be more successful and then I won’t have to do commercials anymore. How important is a sort of childishness to be creative? People complain about me that I am immature, and I think I am sometimes immature. And sometimes when I have to deal with a situation with my son or deal with my actors I am mature because I have to be the adult. But it is true that creativity is very much associated with a certain form of immaturity. When you become an adult you often have to limit your creativity – I mean, you can still be creative if you are working in a system – but if you do creativity that is only connected to pleasure, then you make big electric trains and you seem to be either a child molester or a big kid. I am a little bit of a big kid. It’s a subject I talk about with Björk a lot. Sometimes she says, “I think it’s time you should move on to something more adult,” and I think she’s right because she is very smart and she’s generally right. But if being adult is becoming cynical or pretentious then I prefer to stay immature. 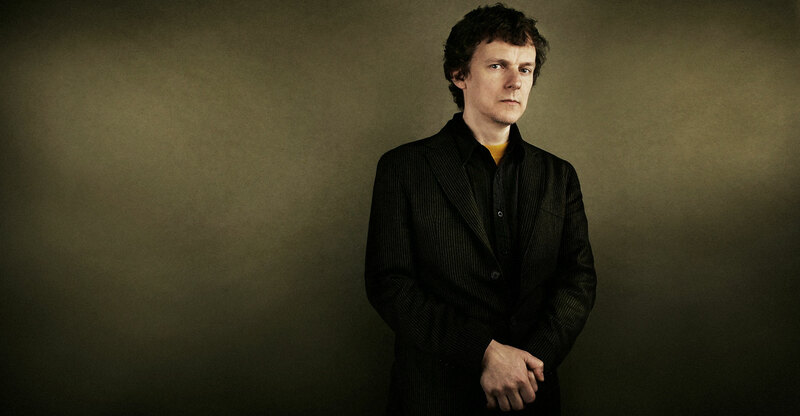 Michel Gondry began his career making music videos, enjoying an especially fruitful collaboration with Björk. “Army of Me” is one of eight music videos they have made together and is a typical example of Gondry’s trademark visual style. Is it easier to maintain a creative, childlike atmosphere on a smaller set? I like to hire less people for my shoots, but in America the union forces you to work with too many people. There are rules that are absurd. For instance, I once wanted to shoot with local people who are not actors, but the SAG doesn’t allow you to hire actors that are not in the union unless you also hire fifty people a day that are in the union. So we were shooting a dance scene and I had to hire not only dancers but also members of the SAG and the people from the union who were just extras acted literally retarded. They spent their day doing nothing, just looking at themselves in the mirror. All the older people had had plastic surgery. They just did a terrible job. There are so many rules with the union it is pathetic. I think that is very damaging for the American film industry. I’m sure you have tons of union horror stories. On Eternal Sunshine, at the end when Jim Carrey walks in the house and the ocean is taking over, we built the corner of the house and we put it on the side of the beach and we waited for the tide to be high, too. We hired a special team to put the set like two feet in the water. They had gear and stuff and then at the last minute they refused because they said it was too dangerous. So we were screwed, we had to do it ourselves - the actors, the producer, everybody - so I called them pussies I think. Then I got told off by the chief of the union, who came to sort of try to humiliate me in front of my crew because we fired those guys. I had my satisfaction! The scene from Eternal Sunshine of the Spotless Mind where the house is being taken over by the high tide. How do you get your head free from work when you’re finished? Just hanging out with my son is incredible, so when I have some time off I try to catch up on my duties as a father. He lives with me and I love spending my time with him. Once a week or so we go to see a movie together. When I do things with my son I realize that I am actually not working. Nevertheless you go and see movies with him. Can you step back from being a director and simply enjoy a movie? Yes I can enjoy it. But it’s true it is a very complex problem. It is different because my son has a less critical approach to movies than me. He enjoys going to see a movie as part of the audience. Sometimes I know I won't like the movie we are going to see, but he gets upset with me and tells me to just enjoy going to the movies. So sometimes I don’t tell him my opinion, but on the other hand sometimes we have the same taste. It’s funny, when he wants to piss me off he tells me I am a bad director and that Quentin Tarantino is much better than me. I hate it when he says that! Because of your ego or because you don't like Tarantino? He forced me to go see Kill Bill Vol. 2 and I walked out of it, just like every time I go and see a movie by Quentin, besides Pulp Fiction – I finished that one. But all the others are too mean for me. I mean, he is a brilliant director, much more skilled than me. You see great performances, great images. Everything is great, only the message is dangerous. It’s all revenge and vengeance, about being mean and cynical. I would almost say that these movies are not made for my son, but it is exactly those movies that young people love. Even if they are too young they just sneak into it. So what are the things you actually don’t want your son to see? Are there any TV-shows you actually like? I really love Curb Your Enthusiasm and Mr. Show, but I also watch them on DVD because I don’t have a TV. Some shows are great, but some others are irritating, really irritating. Do you consider yourself as a nostalgic person? Yeah. It is hard though because the past is supposed to ease the pain of the memory, but to me it just increases it because I compensate nostalgia with forgetfulness. The past is supposed to help your forgetfulness but then it adds to the regret of your past. So when I think of my ex-girlfriend and the good times we spent together it always gets painful. That’s when I get nostalgic and I wish I would not. Your movies often have utopian elements in them. Do you believe in utopia? Yes. I actually have proof of that, because I tried systems that were not supposed to work but they did. For example my mother was very badly addicted to Codein, which is like opium but you can find it in some over the counter medicines. She was addicted to the point that she was going to die. So I went to her pharmacist and showed her a picture of my mom and told her that she can't sell these drugs to her anymore. The pharmacist told me that it is illegal not to sell this product to her because you don’t need a prescription. So I told her: “Fine so she will be dead and you will be responsible for it.” She felt guilty and stopped selling it to her. That was enough to stop my mom I didn’t even have to go to other pharmacies. We walked out of the system. People think that we are not in position to create a system but I think that is wrong. Everybody can create a system that works. Do you think movies can be medicine in some way? Actually I remember going to see Toy Story feeling sick and then I laughed a lot and when I left the theatre I was feeling better. So maybe. What about making movies, is that at all therapeutic? No. Making them you get left by your girlfriend and you have only bad memories attached to it. You don’t sleep, you take sleeping pills, you gain weight. It is definitely not healthy or therapeutic.